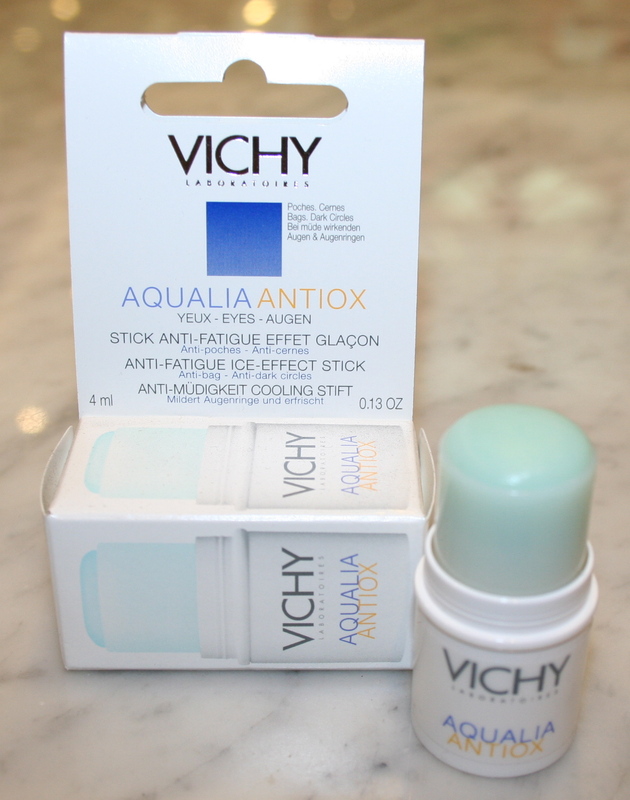 Vichy AQUALIA ANTIOX stick is a anti-fatigue ice stick that helps remove dark circles and bags around your eyes. Your eyes will be instantly revitalized as the dark circles fade. This is a fragrance free, paraben free, allergy-tested formula tested under dermatological control. Made with Vichy Thermal Spa Water it's suitable for sensitive eyes and contact lens wearers. Packaged in a convenient stick the ultra cooling formula is instantly refreshing. Citrus Polyphenol plus Vitamin C & E form a powerful antioxidant complex that protect the sensitive skin around your eyes. No need to worry about tired eyes with Vichy anti-fatigue eye stick on hand you'll look bright-eyed and ready to go. Have You Heard The Latest Conversation?